It's hard to believe that Augustus has already been home for a whole week. It feels like he was just born and that he has been here forever. Most of our time has been spent settling into a new routine. Lots of sleeping, diapers and nursing. A couple doctor appointments mixed in for good measure. In the two years since Nora was born, I feel like we have learned so much about Montessori and have incorporated these principals into our home. We are again incorporating Montessori right away. But, it does look a bit different this time. And, its been so lovely. 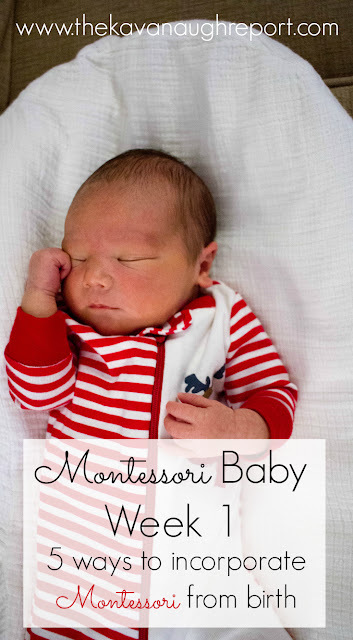 But, what does Montessori mean for a brand new baby? 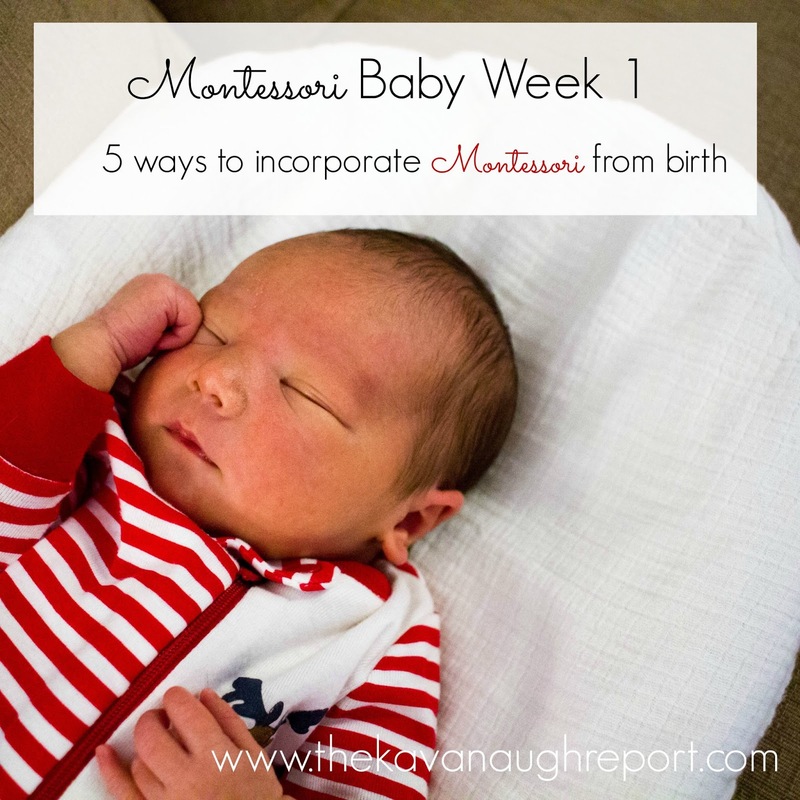 Here are 5 ways to incorporate Montessori from birth! A topponcino is a small mat that provides a transition between the womb and the world. It's not fluffy but instead a sturdy, but soft little mat -- kind of like a thick quilt bundled up but easier to use. 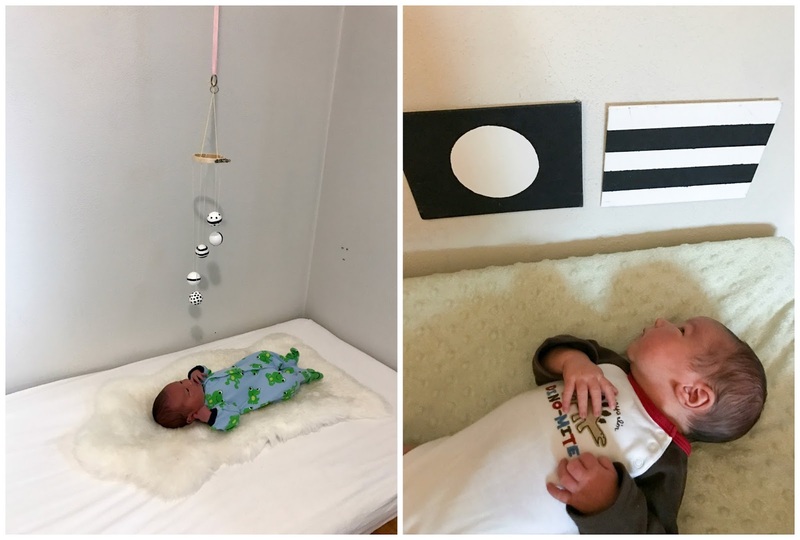 Babies can use them whenever they are awake to hang out on, to be held in, or passed around in. It helps keep their environment a little more stable as they transition to the big world around them. Augustus LOVES his topponcino. I didn't have one with either of the other kids and I completely regret it. He is immediately more relaxed laying on it and enjoys resting on it. It has also been great for having the kids hold him and provides much more security and support than a blanket would. Freedom of Movement is a key tenant to Montessori philosophy. Allowing young children to explore their body and their environment is so key to their development. 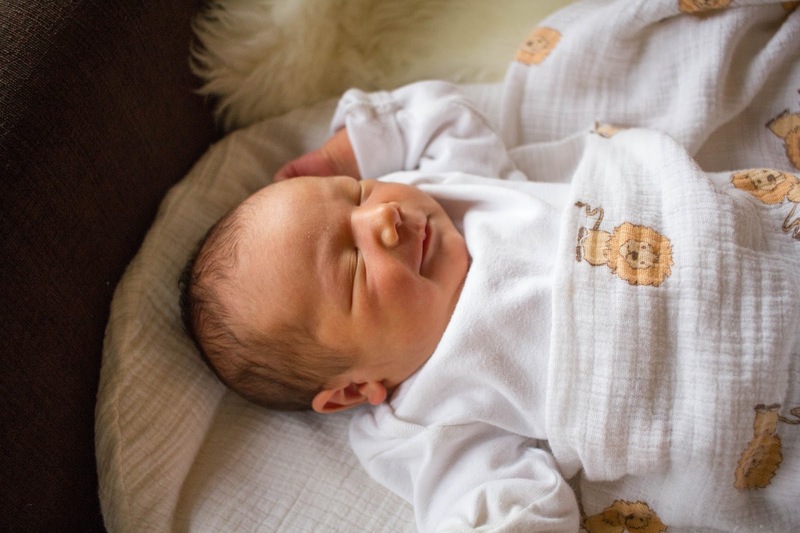 A swaddle effectively eliminates the chance for a newborn to adjust to their larger environment and to work out the startle reflex. At the hospital, we did allow Gus to be swaddled. It was just a bit easier to go with the flow of the nursing staff than explain to them our differences. Plus, it was 24 hours. At home, we have avoided a swaddle. During the day, we make sure he is wearing appropriate clothes and have muslin blankets to place around him if it gets too chilly. The topponcino helps a lot with this too. Our only exception is nighttime. We do use a sleep sack with swaddle to help keep Augustus warm at night. However, we do not strap his hands down and he still has the freedom to move his feet and legs. Many people insist on using baby mittens with their newborns. However, not so with Montessori babies. 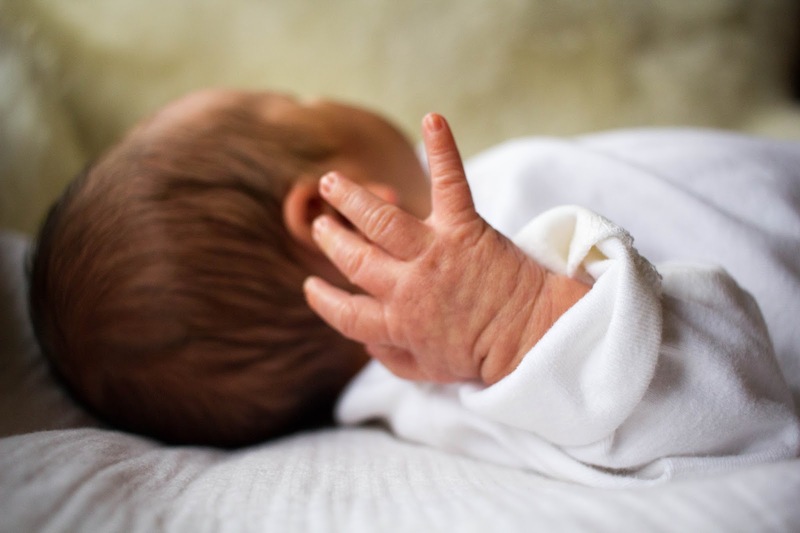 It's well known that babies use their hands to comfort themselves before birth. They provide a familiar sense of security, therefore, after the baby is born. By covering them up or swaddling them down, babies lose that connection and that ability to self soothe. You wont find any baby mittens on Augustus. We keep his hands accessible to him at all times and have since his birth. 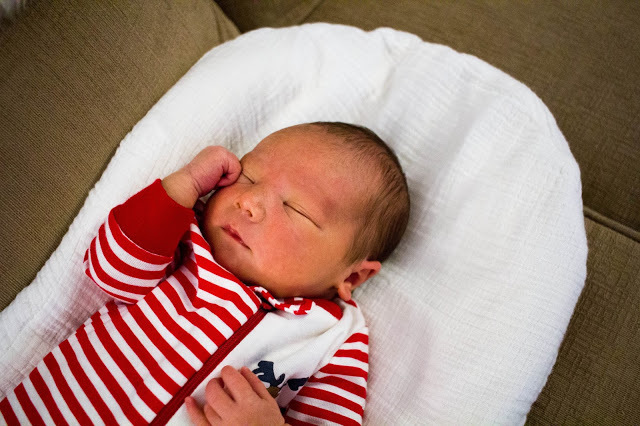 I've frequently seen him rubbing his face, and sucking his fingers when he needs some extra comfort or just when he is awake. 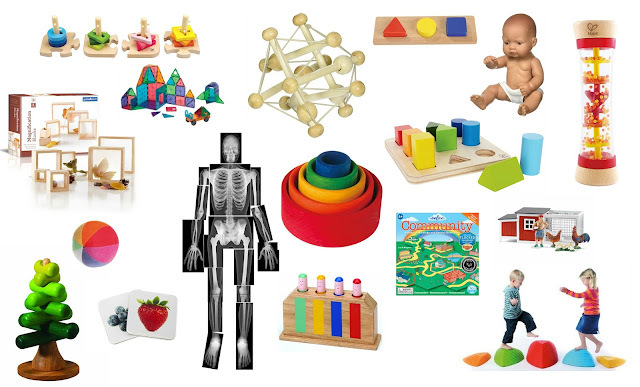 In a Montessori environment, you won't find a bunch of flashy baby toys or baby holding devices. Instead, you'll find a soothing, peaceful, natural environment. A soothing mat, some high contrast images and maybe a Munari mobile. Being the third child means that "peaceful" is a relative term around here. But, we do not use baby holding devices -- like a bouncy seat or swing -- and have no electronic toys. In the small amounts of time that Augustus has been awake this week, we're using high contrast images, and a Munari-inspired mobile with him. Both have been captivating! At the very heart of Montessori is a deep and loving respect for children. It's about human connection. About love. Grace. Kindness. Peace. And, what represents any of these qualities better than a newborn? Above all this week has been about loving on Gus. Getting to know him. Helping us all find our new places in our family. Cuddling that sweet baby that will grow and change faster than I could ever want. We are just cherishing this time as much as we can. Yes, it can be stressful and exhausting, but at the end of the day this time is absolutely the most amazing. 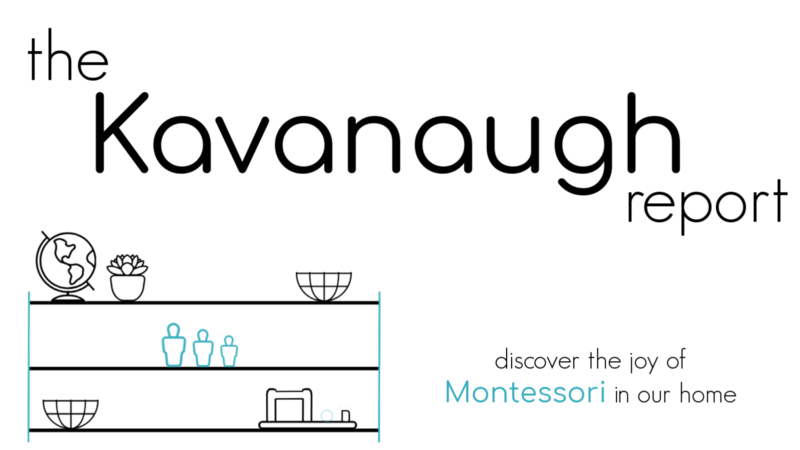 Have you incorporated Montessori from the beginning? What tips would you share with others? Hi! Your little Gus is just adorable. I have a question I am new to Montessori principles and want to integrate this into my home. We have a two and a half year old and a seven month old. I guess my question is where do I start to set up a Montessori home? I have been reading and researching but it all feels so overwhelming. I think its important to just start somewhere! If you talking physical space, pick one spot and just dive in. We didnt have any toys that were all that Montessori friendly when we started, we just changed how we had them set up. And just let it snowball from there! And at the end of the day, Montessori is about how we treat children and that can be done without any changes! Here are a couple posts that might help! 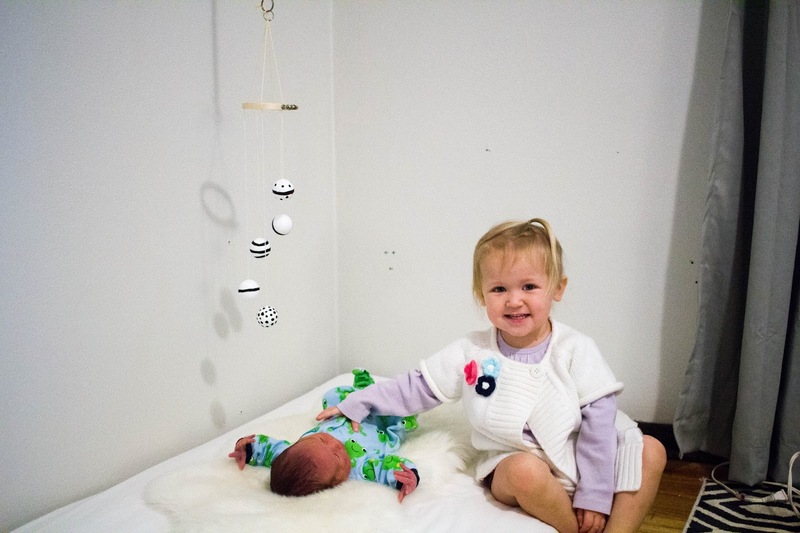 In love with avoiding swaddle idea. 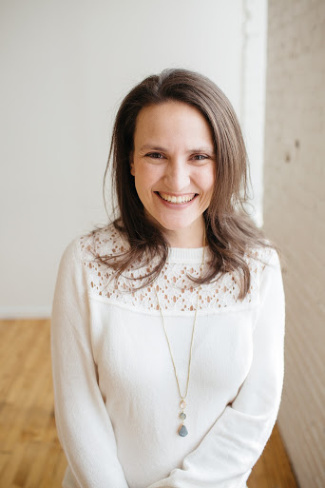 Your little one is beautiful, and kudos for finding the time to be blogging! 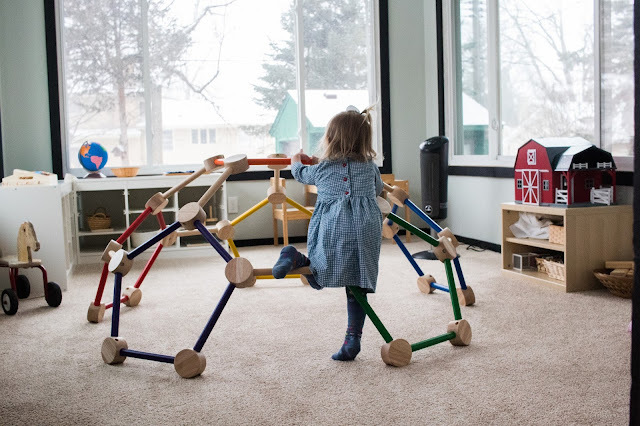 I love the Montessori philosophy and these ideas are just so lovely. What a blessed little man you have! Such a little darling! Congratulations! I like the freedom of movement idea... my baby hated being swaddled from the time she was about 2 days old, especially her arms.